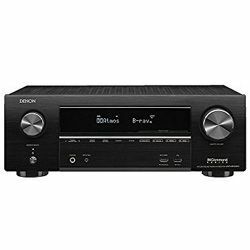 Denon AVRX1500 vs Onkyo TX-NR676 – what to choose for your setup? I had a chance to test two great solutions – Denon AVRX1500 vs Onkyo TX-NR676. This review will be helpful for people who are looking for a high-performance receiver. 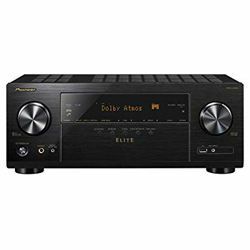 If we compare Onkyo TX-NR676 vs Denon AVRX1500 in terms of the total power output, we will see that Onkyo wins here with its 700 W, while Denon outputs 560 W. These receivers support the modern 4K 60 Hz video standard with HDR and HLG. 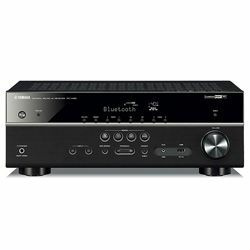 Denon AVR-X1500 also supports the Alexa voice technology. These two models have Bluetooth and Wi-FI modules, which allow you stream content from various online services. Both receivers support the dual-zone feature. The playback can be controlled via a remote controller. Some customers, who use Onkyo TX-NR676, experience certain issues with the HDMI ports – they get no sound at all. 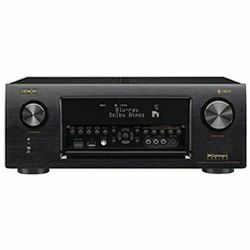 Comparing Onkyo TX-NR676 vs Denon AVRX1500 in terms of the number of the HDMI ports we can see that Onkyo TX-NR676 is better with its 7 in and 2 out HDMI ports, while Denon AVRX1500 has 6 in and 1 out HDMI ports. 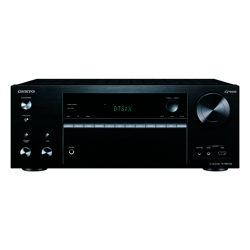 Onkyo uses the AccuEQ technology to control the output sound, while Denon uses the Audyssey technology. However, both technologies are quite precise – they analyze the room’s acoustics and tweak the speakers accordingly. Both manufacturers provide you with the microphone required for the calibration. You can always fine-tune the settings using a special menu. Both models have a simple LCD display and a row of buttons right under it. Denon has two large knobs on both sides, while Onkyo has one large knob on the right side and two small ones on the left side. Both models have extra ports on the front panel. Both solutions come with a very ergonomic remote controller. The dimensions are 13.3x17.1x5.9 in for Denon AVRX1500 versus 14.8x17.1x6.8 in for Onkyo TX-NR676. The weight is 18.7 pounds and 22 pounds respectively. The output sound quality is very high – no voice latency – lagging issue. It is easy to set up and configures due to the audio feature. It is built well – nothing shakes or rattles. This model can work slowly. You may find the remote controller look outdated. It is easy to set up and configure due to well-designed menus and the auto-configuration system. The wireless modules are stable. This model may have a faulty HDMI board installed so it will not work long. Firmware updating may take some time.